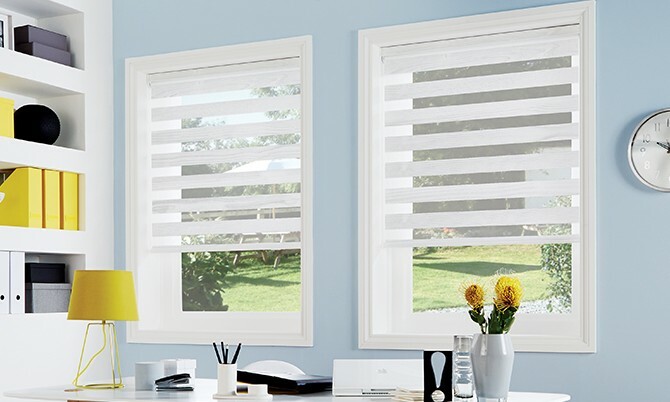 Vision Blinds are an innovative new window blind that features two layers of translucent and opaque horizontal striped fabric. Vision blinds not only look great but are practical too, enabling you to control the light and maintain the view into your garden. 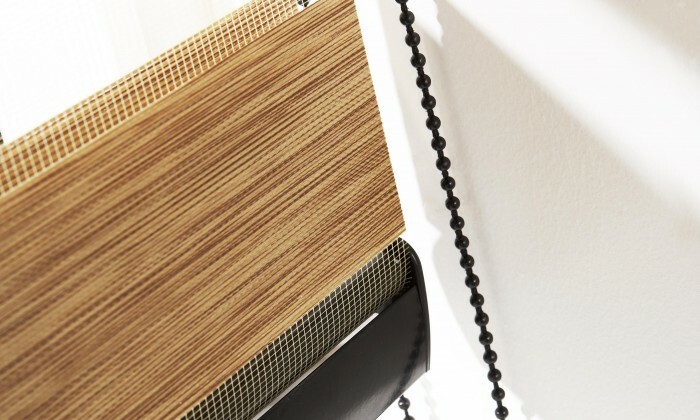 Easy to use, a single control is used to slide the opaque and translucent woven stripes past each other. The same operation is used to raise or lower the window blind to any height in the window with ease, in the same way the classic roller blind would. A Vision blind will also roll up fully to reveal an uninterrupted view to the outside. There is a huge range of styles available in a range of exotic colours, subtle shades and dynamic effects. 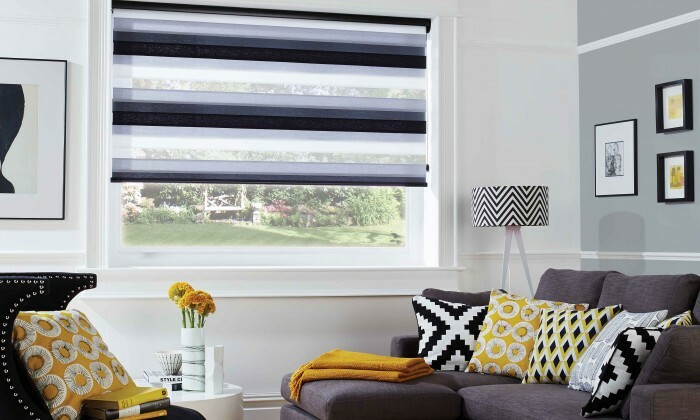 Simply click on the link below to view a range of fabrics, colours and to see the very latest in interior trends and fashions which are all available as made to measure vision window blinds for your home. 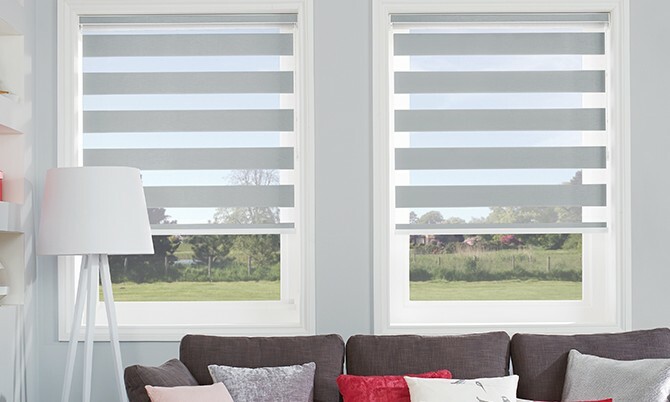 What are the lead times for getting vision blinds installed? Most vision Blinds can be manufactured and installed within 10-14 working days. 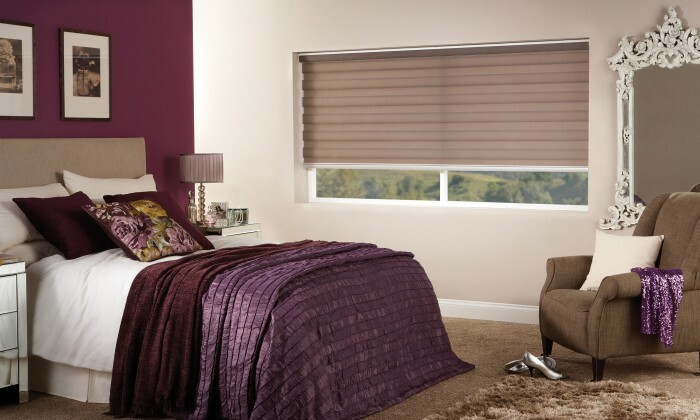 Telephone 01772 655666 for help and advice on our range of vision Blinds. Can we see your vision on display in your showroom? 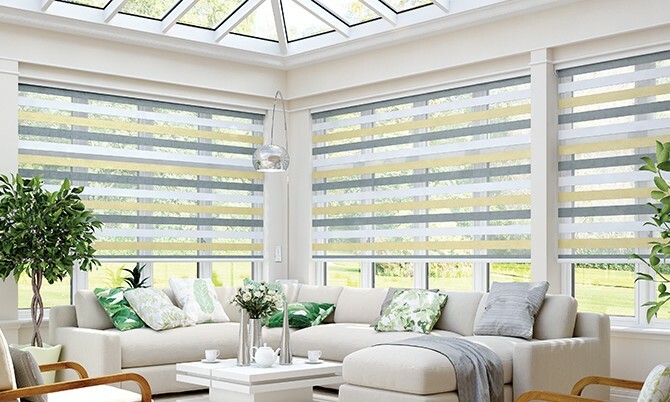 We have a large showroom in Preston that showcases very latest vision blinds giving you the chance to view a huge range of styles and colour options designed to fit perfectly with your home and budget. Is there any extra charge for installing my vision blinds? No, we install all our vision blinds free of charge – telephone 01772 655666 to book your free design appointment.